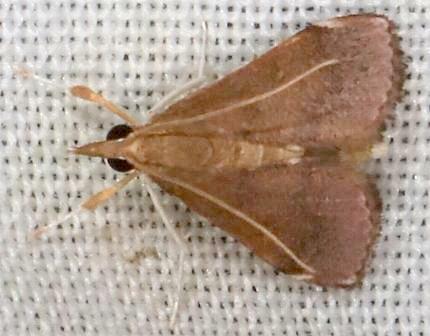 The adult moth of this species has brown forewings, each with a purple area along the margin. The hindwings are off-white. All four wings have brown marks on the margin at the end of each vein. The wingspan is about 1.5 cms. 1889, pp. 520-521, No. 160.